At 25 years-old Aron read Rich Dad Poor Dad, bought his first investment property and never looked back. Ten plus years later Aron is an entrepreneur who goes from part-time investor to full-time investor then back again to part-time, depending what other businesses he is running. He recently refocused his Houston investment property business to buy and hold properties after some sound tax advice from his CPA. He attributes his success to not being afraid to make mistakes and always applying new knowledge to the next deal. He knows that making mistakes that you can afford to make is key in the learning process. Aron loves real estate investing and this mindset drives him: You can leverage a little bit of money to make a lot of money over time. Aron’s recent deal from MyHouseDeals proves that it’s important to find a good title company. This saved him from retrieving eight signatures from family members before the house was able to sell! We recently sat with Aron to learn more about this deal, his experiences with contractors and financing deals as well as his overall investing strategies. NOTE: Since Aron is a Premium Elite member, he received a FULL refund of his up-front membership fee for simply doing a deal! Find out more about our Premium Elite membership here. I got involved in real estate in 2004. I know this is kind of cliché, but as a lot of people did, I read Rich Dad Poor Dad and right away went to start buying Houston investment properties and never looked back. Was it hard to take the first step? I was working for the Houston Astro’s downtown, working full-time and just did it on the side. Then I think roughly about a year later maybe two years later, I had about 10 properties. At that point, that’s when I decided to quit my job and jump into real estate full-time. That was a little bit scarier. How did you finance your properties in the beginning? 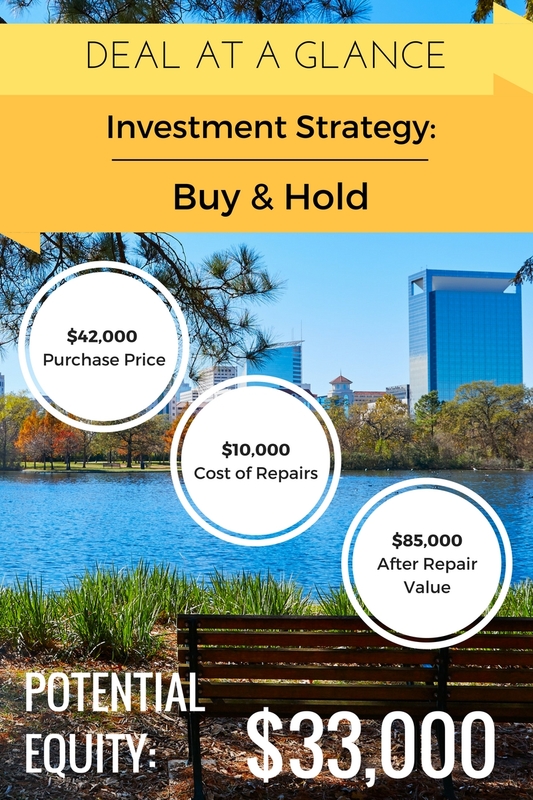 I financed my first Houston investment property through conventional finance. It was a town home. I didn’t really know what I was doing. I used a realtor. It wasn’t a great deal, it was a HUD home. That’s how I financed it. I quickly found out that if I’m going to want to do this on a bigger scale, I’m going to have to be a lot more creative in purchasing homes. I’d say the next six homes, roughly about six homes, I bought through subject two deals. They were all subject two deals. Then it became a lot easier to get deals at that point. How did you improve your real estate investing knowledge? I was reading everything I could get my hands on. I was actually part of this group that exchanged real estate courses. 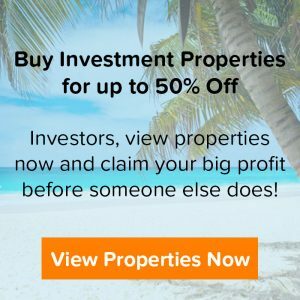 I accumulated a lot of real estate courses, just by sharing with others and trading back. I would say, I probably went through about 30 different real estate courses over an 18-month period right at the beginning to learn all kinds of strategies, just pretty much to learn a lot more about investing. What do you think sets you apart as a successful real estate investor? I wouldn’t say lack of fear, but I think not being afraid of the fear is what sets me apart from what I saw in the beginning, talking with others who were trying to get started. I think a lot of people understand how great real estate is and all the benefits of owning real estate. I think when it comes time to actually take action, I think a lot of people are just a little bit scared to make that move, with all the what-ifs. I was 25 at the time and I just don’t think that bothered me at all. I was willing to make mistakes and learn from them in order to get better. What advice do you have for people who are trying to get started in real estate investing? I would say, protect yourself as much as possible. I wouldn’t say you need to go out there and learn everything before you get started. I think you need to surround yourself with a couple people that have been doing the business for a while, take some good advice from them and obviously educate yourself, but take action and make sure the action you’re taking is action that you can afford to make mistakes on and learn from and build from. The only way to get out there and truly learn is to take action and learn from that and then just do better your next deal and so on. Always learn something from any mistakes you make, and hopefully those are very few. How has your financing strategy changed? It went through different phases. In 2004, I bought my first Houston investment property conventional. Then 2005 and early 2006, I did a lot of subject twos. That was a lot different back then than it is now. I was able to go to banks and get lines of credit. I’d pretty much walk into different banks and be able to get up to a $50,000 line of credit with a one-page application. I think having a job at that time (an income at that time) helped me do that. It’s kind of scary but pretty soon, at 25, 26 years old, I had over $200,000 to use as unsecured lines of credit. I think that’s when I was able to use those funds smart and not waste that, and that able to buy deals at that time. I started flipping a lot of properties and then keeping some and then flipping some and then keeping some. After doing that for a few years and being about three or four years in the business I was able to go to banks and get commercial guidance lines of credit. I would go to banks, and I remember the first one, they gave me a $500,000 commercial line of credit. I could use that, they would secure that with properties, but I could just go out there and get properties at my discretion and be able to use that. Then after having that, going to other banks and just showing my portfolio, my resume, and just slowly started being able to do a lot more with banks. Basically all my Houston investment properties are bought with commercial loans. You can only have so many on your personal credit. Once you can’t have any on your personal credit, and I would suggest people going to fill up their personal credit with loans, once you fill up with those all the loans are commercial. When analyzing deals, how do you calculate your purchase price? I used to be a lot more detailed in the beginning. I remember when I was buying properties, it used to be just a simple formula that I learned: 70% of the after repair value (ARV) minus repairs. If I found a property that met that criteria, I knew I could make money. Depending on the price of the property, I would either flip it or just keep it for a rental. I pay attention to what a property could rent for versus my total cost. If there was a big difference, then I would rent it out and if there was an opportunity where I could flip it and make a lot of money, I would do that as well. 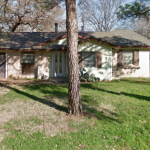 What kind of Houston investment property did you look for on MyHouseDeals? When you buy property, you get depreciation over 27 and a half years. You get to take a lot of your depreciation during the first five years and all those properties were over five years, so I lost all that depreciation. I knew I had the funds, I had the resources, I had the skills to go out there and buy a lot more properties, and then I could get a lot of depreciation. And that is what I did. About a year ago, I got back in the business, bought some apartment complexes, bought a lot of single family homes, and now I have a lot of depreciation that helps me offset all this earned income. Obviously, it’s building my net worth tenfold. It just works out perfect. It’s a lot better, in my eyes, than putting my money in the stock market or IRA or something like that. I love real estate and I understand the benefits. You get paid in real estate through equity, principle pay down, cash flow, and tax benefits. There are all kinds of benefits. I guess that kind of got me back into it was the realization that I don’t want to give all this money to the government. I’m just going to go back and do what I love and you get to enjoy all those benefits at that point. 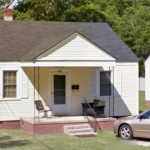 What was it about this Houston investment property that made you choose it? It just met the model I was looking for. I’m not looking to flip any properties. I was looking strictly for a rent and hold. I have a property manager who now manages all my properties. My idea was just to find a good deal that has a lot of equity that I can fix up and rent out and then just turn it over to my property manager. This property just fit that model perfectly. Did you pull your own comps on this deal? Yes. I have my real estate license. I have it just strictly for my own business. I don’t use it to lease houses or to represent any other people. I strictly use it to pull comps, to sell properties or lease properties, things like that. I purchased this at $42,000. I paid all closing costs, which was very minimal. The repairs will be about $10,000 and the property already has an after repair appraisal of $85,000. The bank I work with will give me a certain percentage of the after repair appraisal, after I do the repairs. I’ll turn in pictures and receipts. They’re actually giving me a loan for $57,500, and I’ll have $55,000 out of my pocket. Literally, I’m able to buy this fix it up and in three weeks give it over to my property manager. It will probably net $250-$300 a month in rent. Did you come up against any hurdles during the whole process? Yes. I dealt with some stuff on this deal that I never dealt with before. It was an estate sale. There happened to be eight other siblings that had to agree and sign these airship affidavits and one of the people was in Saudi Arabia and they weren’t allowed to send documents over there. It was pretty crazy. It was nothing that I had to deal with, but the title company and actually the wholesaler were on top of it and they took care of everything. It took about a week or two longer than we would normally take. Everything worked out. How did you start finding contractors and how have you refined that process over the years? I’ve gone through a lot of different contractors and a lot of scenarios, and have learned through the years. I have a system that works for me. I’m not saying this is the best system for everyone, but it really works for me. I’ve gone through a lot of contractors. The one I use now I’ve had for about five years. It’s to the point where we spent 30 minutes the day I bought that property with walking him through the property. It was just him having a notepad and then within five minutes agreeing on a price. I’ll be back in a couple weeks, he’ll be done and that’ll be it. It’s a really easy process now. He actually has a Home Depot and Lowe’s card of mine that he uses strictly for these. It helps with receipts. It just works because I trust him. He’s a trustworthy guy. You just don’t know what problems you’re going to run into getting contractors. I would say the biggest thing I learned right at the beginning is to resist giving them money up front. You hear so many horror stories. If I refer out the guy I use right now, I tell people to not give him a lot of money up front. He’ll always ask for it, but it just causes so many problems. What advice do you have for new investors? I think it all starts with mindset. You have to know why you’re doing what you’re doing. You have to have a plan in place and know why you’re doing that plan. For me, it was the realization that you can leverage a little bit of money to make a lot of money over time. I’m not saying it’s a get rich thing at all, but I believe real estate in general just has so many benefits that it’s the easiest way to get wealthy. Knowing the concepts of that drove me to just keep going. 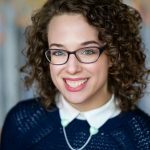 I think having a why and knowing your purpose and long-term goals helps. I think that is important before you take off doing anything.